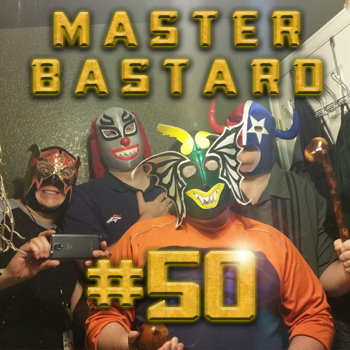 Join the Bastards as they celebrate their 50th episode! It was only 2 years in the making. They have some listener mail, Luchador masks and some delightful limericks. They finally get closure on the Involuntary Book Club as Ramtang delivers a stunning internet book report on Paws For Murder. Sports talk, gay talk and Tuna Talk, plus Chinese tourist updates! All this and whore!